He will also continue to stream regularly on Twitch. Nearly five months after his top three finish at the 2018 Overwatch World Cup, popular Twitch streamer Félix “xQc” Lengyel is making his return to competitive play as Gladiators Legion’s new substitute main-tank. Gladiators Legion’s main tank Byung-ho “Panker” Lee is signed to a two-way contract, allowing him to also play for the organization’s OWL team. With xQc’s signing, Gladiators Legion now have a substitute tank to play in the event that Panker is called up to the OWL team. “Being a substitute for the Legion will allow him to continue to display the great Overwatch skill we all enjoyed while watching him compete for Team Canada in the Overwatch World Cup,” Gladiators founder Rob Moore said. 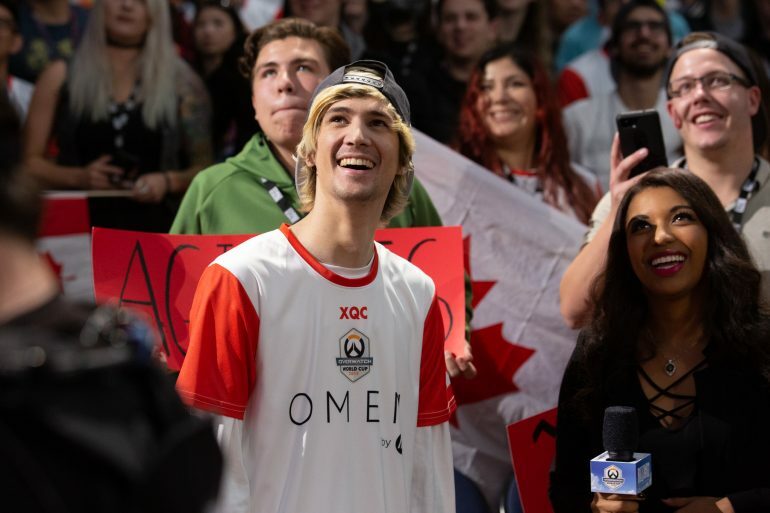 Prior to competing in the World Cup, xQc had taken a five-month hiatus from competitive play following his departure from the Dallas Fuel. During his time away from the OWL, xQc has become one of the biggest streamers on Twitch, garnering thousands of viewers in every broadcast. In addition to now being in Contenders, xQc will continue to be a variety streamer on Twitch.